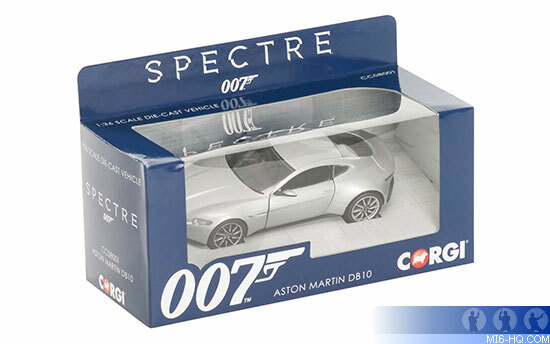 MI6 Competition: MI6 has teamed up with Corgi to give lucky readers the chance to win copies of the new miniature 1:36 scale DB10 as seen in "SPECTRE". In "SPECTRE", the 24th James Bond film, a cryptic message from the past sends Bond on a rogue mission to Mexico City and eventually on to Rome, where his new Aston Martin DB10 is involved in a high speed chase with a Jaguar C-X75 through the city's streets and along the banks of the Tiber. As Bond ventures towards the heart of the sinister organisation known as SPECTRE, he learns of a chilling connection between himself and the enemy he seeks. SPECTRE is available on Digital HD™, Blu-ray™ & DVD now, courtesy of Twentieth Century Fox Home Entertainment. 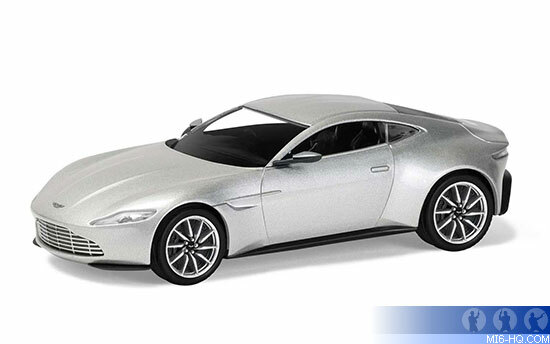 In the movie 'SPECTRE', what drink does Bond leave as a thank-you gift for Q when he requisitions the DB10? Terms & Conditions: The competition closes at midnight GMT on 1st May 2016. MI6 will choose the winners at random from the correct answers received. The winners will be contacted via the email address supplied and their postal address will be requested. If a winner fails to respond within 7 days of prize notification, another winner will be chosen until all prizes are allotted. Competition is open to MI6 readers worldwide. Entrants must be at least 13 years of age.